Monster Contractor’s Insurance Restoration specialists are here to help you deal with your insurance carrier or handle your property damage restoration without insurance. Monster Contractor can help you with Earthquake Insurance Restoration Services in Carmichael California. We are locally owned & operated and specialize in restoring your business or home after you have suffered an earthquake. Rapid response and earthquake restoration are the key to getting your life back to normal and avoiding additional damage to your Carmichael business or home. Unknown leaks or chemicals released after an earthquake can cause health problems that might not surface right away. There are many other issues that can also cause permanent damage to your property, if unmitigated. With Monster Contractor Earthquake Restoration in Carmichael, we understand that time is of the essence. Failing to efficiently and properly clean up earthquake damage now will only mean additional costs and problems later. 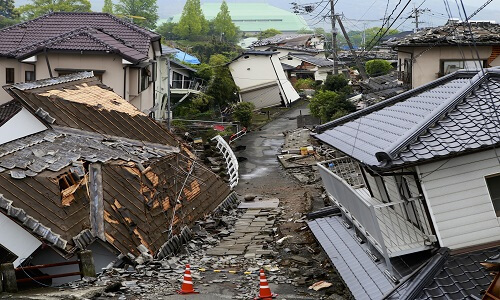 Quickly repairing your property following earthquake damage will save money and time and will prevent more damage resulting from procrastination. Call us for an estimate. We are happy to answer any questions you have, too. 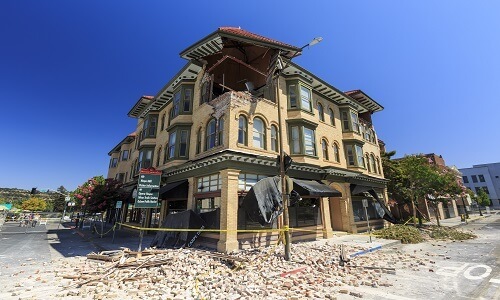 Earthquake Restoration in Carmichael can be a simple and quick process if you choose the right company to assist you through all your restorations. Call Monster Contractor, Carmichael’s Earthquake Restoration specialists today. (916) 550-4381. Your call will be answered immediately or returned shortly, by our local staff and not by a call center. Carmichael earthquake damage can start out looking small but become severe if left unaddressed. If your home or business has recently been shaken by an earthquake, it is important to take steps to minimize any further damage. 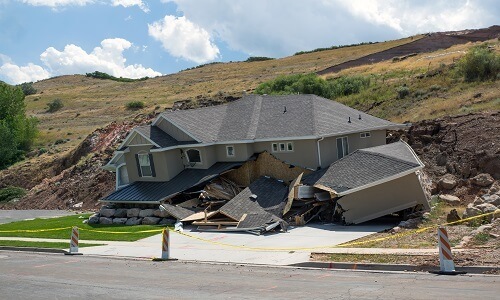 Covering the roof, sealing broken pipes, windows or doors, and containing any chemicals can all be done by our earthquake insurance restoration contractors in Carmichael. Earthquakes can happen any time, so we are available 24 hours a day, 7 days a week through our emergency line. We provide emergency services in order to protect your home or business. Regardless the extent of your earthquake damage, Monster Contractor is the Carmichael earthquake insurance restoration service to go with. We do everything we can to restore your home or business with as little disruption to everyday life as possible. Disaster always strikes unexpectedly and when it does, it abruptly interrupts the daily life of anyone in its path. Even the smallest earthquake is a traumatic experience, but Monster Contractor Earthquake Restoration will assist you each step of the way, to return you to your regular routine in a timely manner. Our professional Carmichael staff is here to assist and will answer any questions you may have. Monster Contractor is a full-service General Contractor and Construction Company located in Carmichael. We provide our industrial, commercial & residential clients with premier service and quality assistance throughout the greater Carmichael area. We work hard to provide what seems to have been lacking in recent years: a contractor who wants to provide quality service at a fair price. As a result, many of our clients call us back year after year. Monster Contractor of Carmichael is a fully licensed and insured construction company. Whether you need commercial, industrial or residential construction, we'll have our best journeymen on the project. We have over 50 years combined experience in the commercial construction and industrial construction industries. Our Property Maintenance experience, like electrical, plumbing, gutter cleaning, etc. will keep help your Carmichael facility running smoothly. Commercial Tenant Improvement in Carmichael is easy with us. Apartment building and property owners have trusted us for years to improve the lives of their tenants. From small projects to new builds, we have managed all types of Construction Management projects in and around Carmichael, California. Retirement homes, government offices and apartment buildings are just some of the Facility Maintenance services we offer. We work directly with YGRENE and HERO on Green Building Construction and can be your ally on energy-proofing your property in Carmichael. We have the best solutions for all aspects of home remodeling and Residential Construction in Carmichael. Are you doing a Carmichael Home Remodel? Room Addition? Kitchen Remodel? Whether it’s a bathroom remodel or complete or partial remodel, we can simplify your remodeling needs. Call Monsters Concrete for a complete estimate to repair foundations and other concrete products. We even have Home Maintenance and home cleaning solutions and can make ourselves available for the smallest detail. Earthquake Damage Restoration and retrofit as well as Fire Damage Restoration mitigation can be expensive if you’re not familiar with restoration in Carmichael. Insurance Restoration and working with insurance companies is difficult. Let our experience simplify the process. Storm Damage Restoration can happen at any time of year. We offer services for each season. Water Damage Restoration from leaks can destroy your home. Fast comprehensive repair from Monsters Roofing is the best solution.